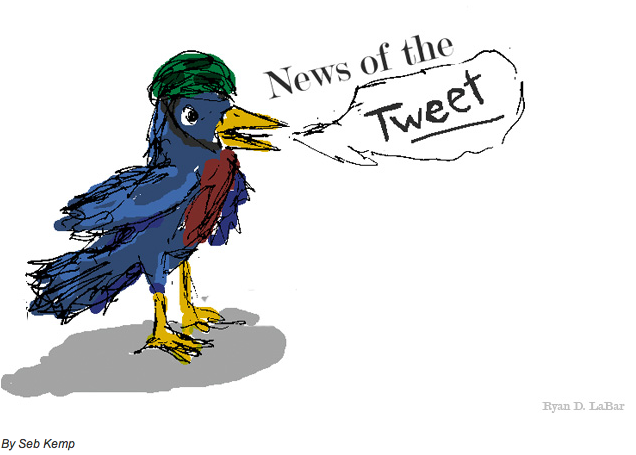 It seems as though I’m going to have to do some search engine optimization with my weekly News Of The Tweet feature. When I typed ‘news of the tweet’ into Google my feature came up seven places down. Strangely it came behind a story about a football player who had a cold but is getting better. Anyway, by now we are into the fifth week of #NOTT for Bike Magazine’s website and despite wondering whether this was a horrendous idea to basically regurgitate the already vacuous gas that is Twitter it is going rather well. It seems people like pithy one liners about pithy one liners more than I thought. For this weeks #NOTT I asked ‘What is Twitter?’ and went right up to the first knuckle in answering that question. Not far but it you could still very much get a feeling from it. Till next monday, keep tweeting. ← Booth babes: Yay! or Nay?